As a principal, I realize the best chance of sustainable, meaningful change only happens in our school with strong teacher leadership. Programs come and go. So do principals. But teachers are consistently in a position to create change and positively impact their classrooms and the entire school. We often think of teacher effectiveness as what happens with classroom instruction. And that is one very important part of how teachers lead and exert influence. But there are many other ways teachers can contribute to positive change. 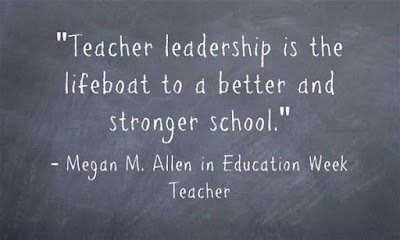 Teacher leadership is not limited to a title or role, such as department head, instructional coach, etc. 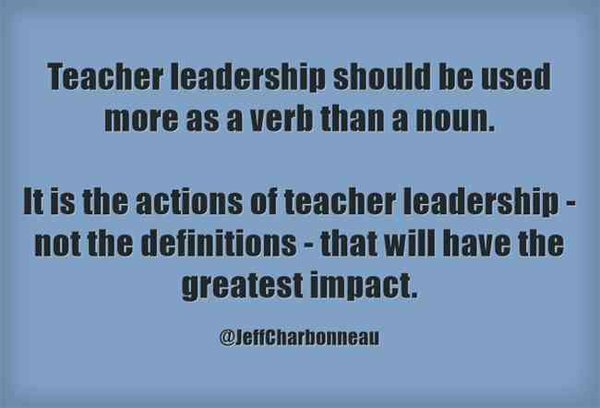 While it is great to have teachers in formal teacher-leader positions, it's important to recognize that leadership is more about actions than defined roles and responsibilities. Leadership, in essence, is concerned with making the lives of your team members better and doing what is best for them in the long run. 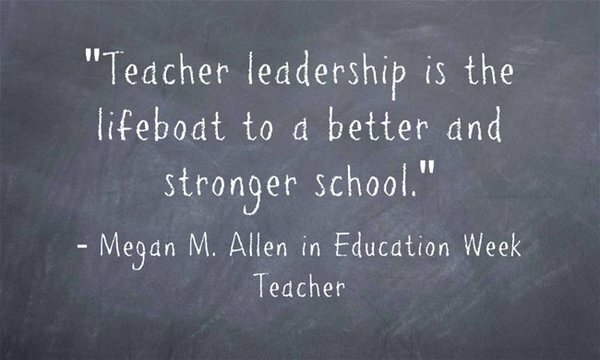 Here are 11 ways teacher leadership can drive change in your school. 1. If we want to empower students, we need to empower teachers. 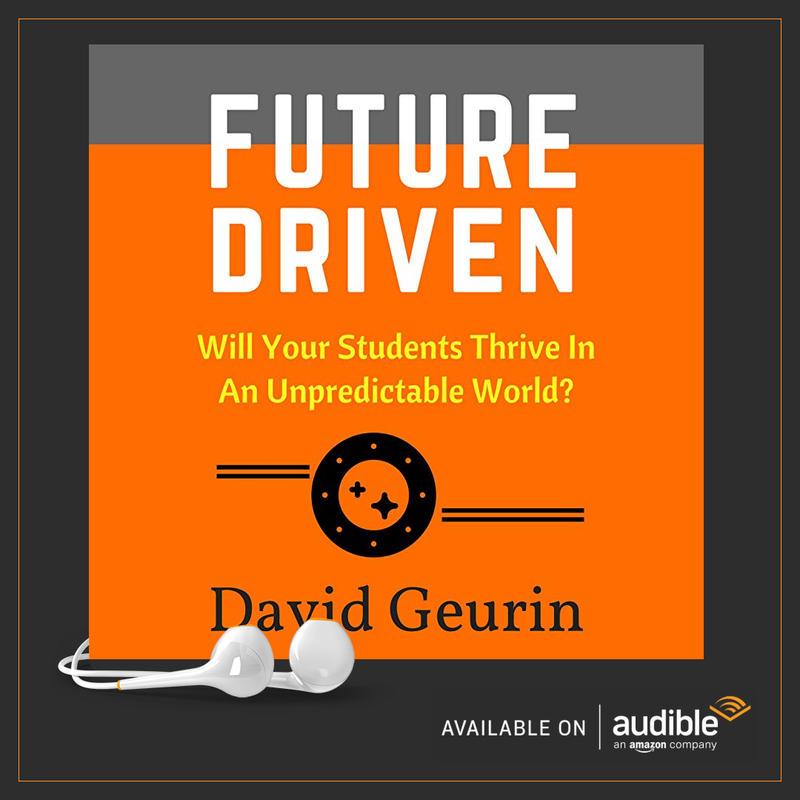 Students need greater voice and choice, so do teachers. Teachers are more likely to offer student-driven learning experiences if they have the same opportunities to drive their own experience. 2. Teachers understand the challenges and the opportunities. Too many ideas for education have been imposed from outside sources, sometimes originating from bureaucrats with little knowledge of a classroom. Teacher leaders know first-hand the complexities of learning, and how to develop solutions that work. 3. Teachers influence other teachers. When teachers take risks, it encourages others to take risks too. Change can be difficult, but with support from other teachers, it's much easier. 4. Solutions developed by teachers are more likely to succeed. Why? Because if we believe in something, we will find a way to make it successful. Whether it is the best idea or not might not even matter. We'll make it successful because we believe it is the best idea. 5. The closer the goals are to the classroom the better. We get maximum results when students and teachers are developing goals together. 6. 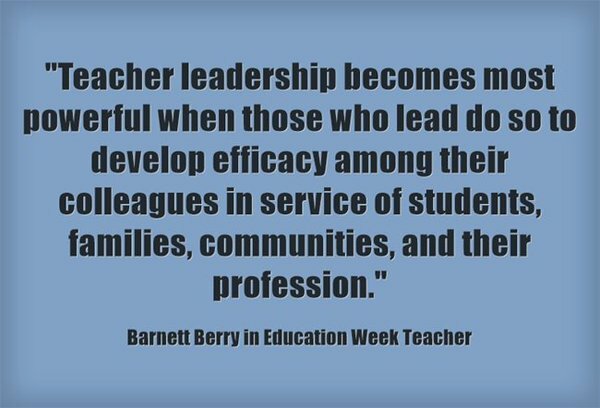 Teacher leadership builds teamwork, trust, and shared ownership. When teachers lead, it creates greater interdependence. 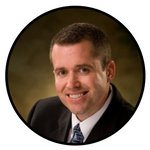 Team members play to their strengths and contribute in ways that make the whole greater than the sum of the parts. 7. Teachers are professionals and deserve to make professional decisions. Too many schools have a culture of permission, where teachers feel they must clear decisions they believe will be best for students. We need a culture of intention, not a culture of permission. 8. Leadership provides opportunities to grow. We cannot effectively explore our talents or potential without opportunities to lead. Using our talents to serve others is leadership. If we hope to create positive change, we have to be willing to grow and have the courage to challenge our own assumptions. We aren't the school we used to be, but we're not the school we want to be. 9. Teacher leaders are culture builders. Nothing is more important in our schools than developing a strong culture. 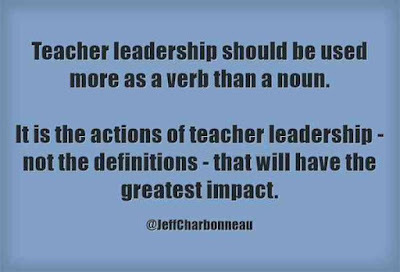 When teachers see themselves as leaders, they recognize how their voices matter to help set the tone for a caring, productive, learning-focused culture. Changing culture isn't always easy to quantify, but it's one of the most important things we can do. Every school should strive for a stronger culture. 10. 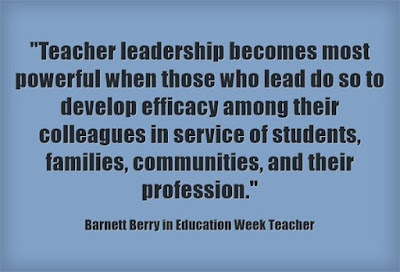 Teacher leaders change lives. I'm constantly amazed at the ways teachers go above and beyond to make a difference in the lives of students and colleagues. Every time I see this type of commitment, I see leadership in action. Change happens in a school one person at a time. 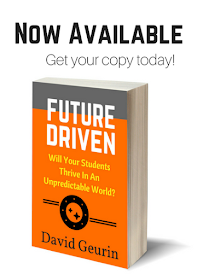 Question: What are ways teacher leaders drive change in your school? I want to hear from you. Leave a comment below or respond on Twitter or Facebook.